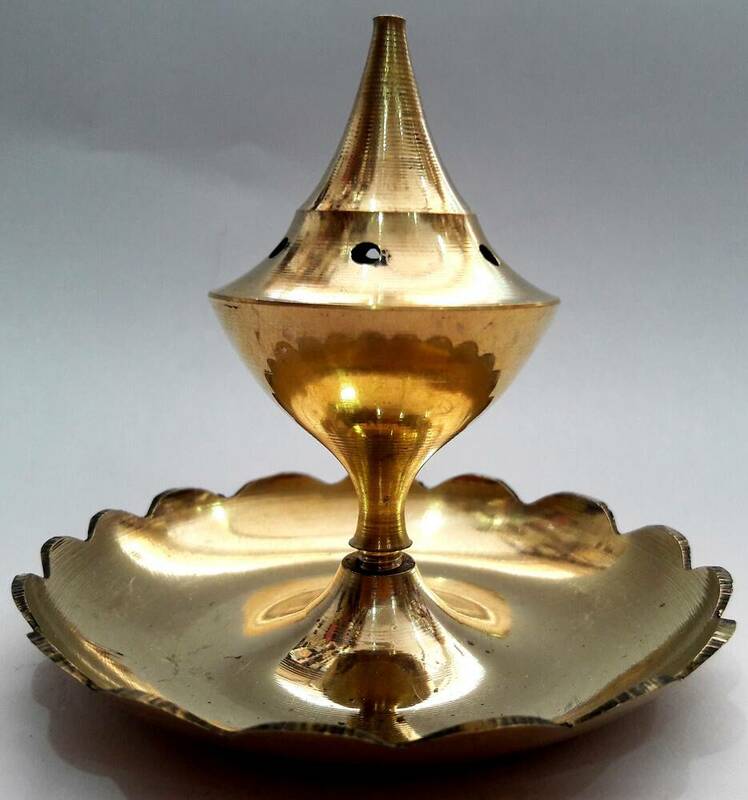 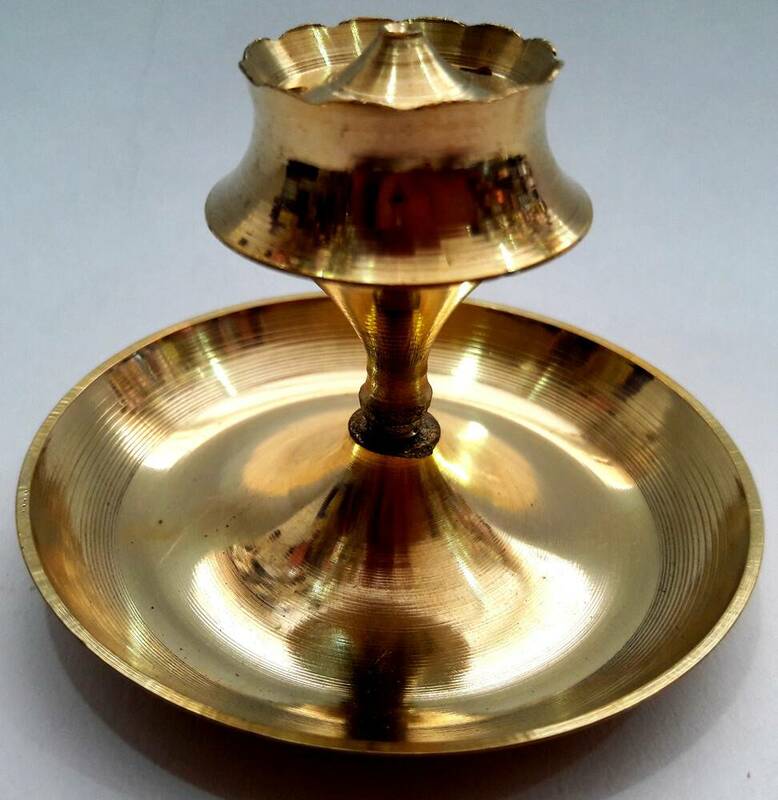 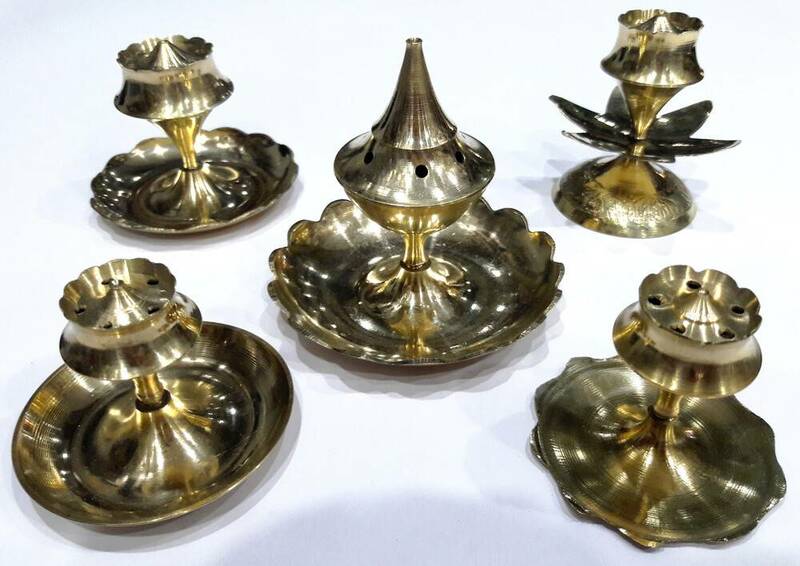 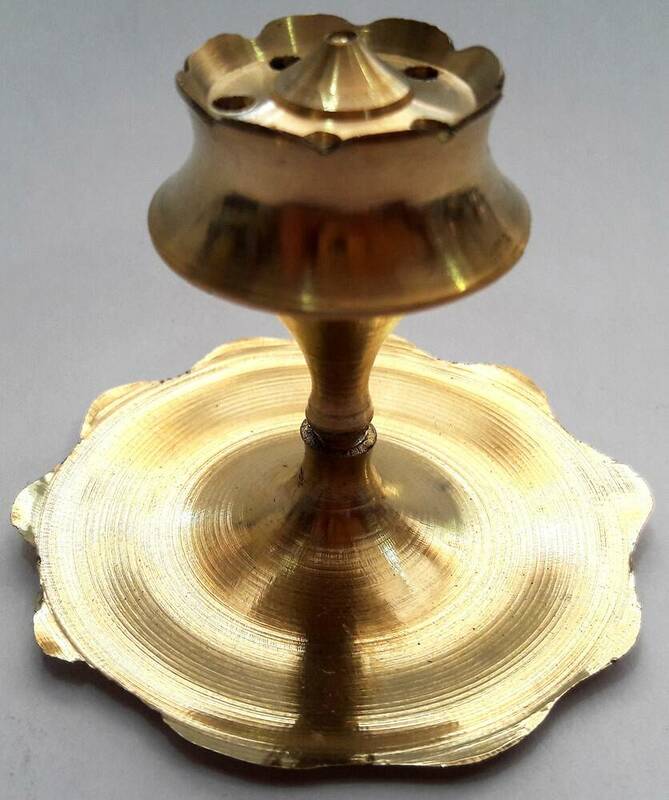 An assorted collection of 5 pure brass Incense Holders with artistic work. 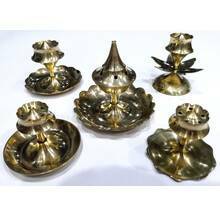 The collection includes large, medium and small incense holders, suitable for any purpose. 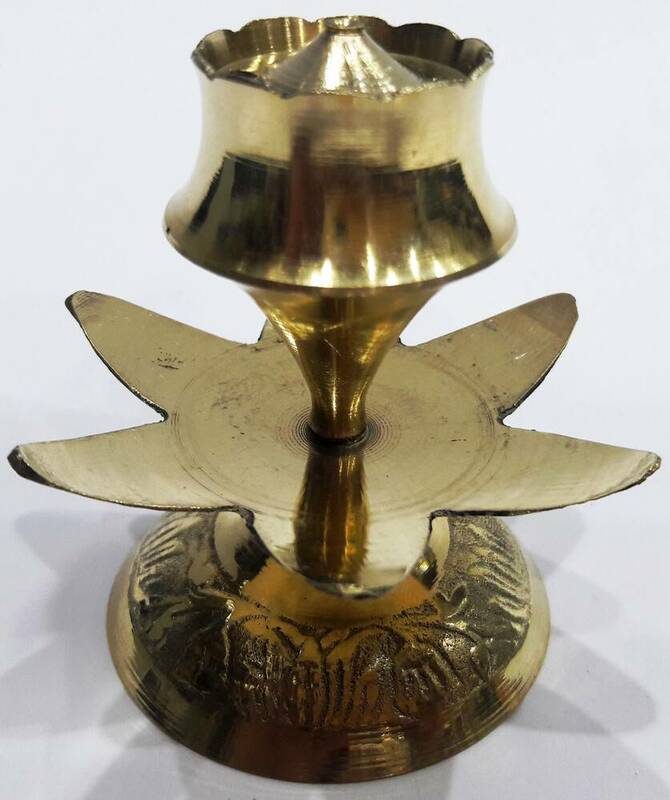 The large size is good for temples also. 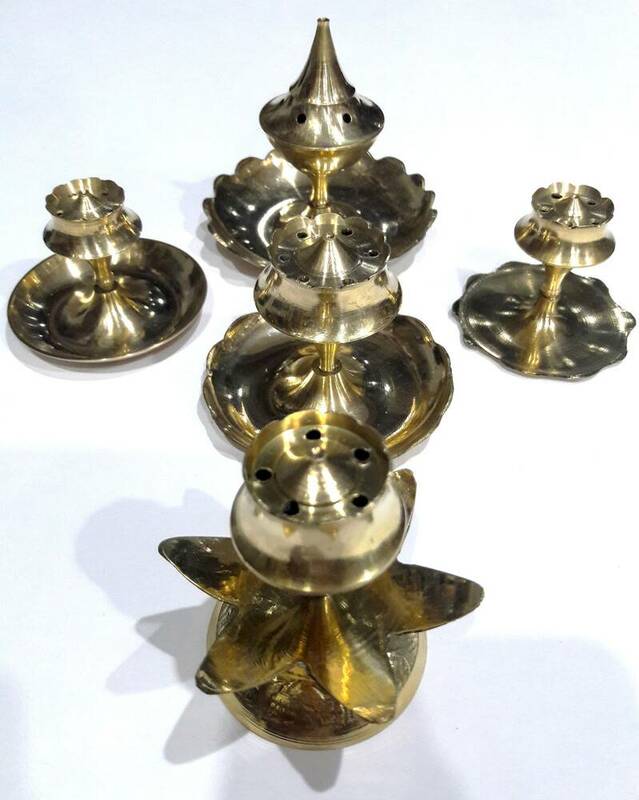 Over time the availability changes so the actual incense hoders we send may differ from the images.